Discussing what is likely to happen after Brexit is just crystal-ball gazing. The truth is that no-one has any idea what the post transition landscape will look like, and that includes those who are negotiating our future. What is more useful than just speculating about all the possibilities in a post-Brexit landscape is trying to influence what will happen. Those in the occupational health world need to ensure that they are trying to defend what we have and use any opportunities to improve it regardless of the final agreement. Last year I wrote a report on the need to protect health and safety after Brexit regardless of the final deal. Since then there has been little tangible progress. The EU has a remarkable reach when it comes to occupational health. Nowhere is that clearer than through the 1989 framework directive which lays down the basis for minimum health safety and hygiene provisions that are the basis of much of the regulation in the UK. There is of course also the separate Working Time Directive which covers hours of work. Many of the bodies coordinating work on occupational health are EU-wide, ranging from the Chemical Agency ECA to the Nuclear Safety agency Euratom, while even the ability of physicians in the EU to work in the UK are governed by EU regulations. What will happen to all this is difficult to predict at the moment because it will heavily depend on whether we get a deal or not, what the deal looks like, and the make-up of future governments post-Brexit. If there is a deal that includes some kind of access to the internal market, the EU will push for this to include requirements that the UK maintain the same minimum employment standards as the EU, including on occupational health and safety. If there is no deal, or it is not linked to the single market then the UK will be free to do what it wants limited only by the basic provisions of any ILO conventions it has signed up to and the requirements of any individual trade deals (which could perversely restrict employment rights). Theresa May promised in October 2016 that existing workers’ rights under EU law “will be guaranteed as long as I am Prime Minister”, yet that has not been the view of many of her cabinet and in Parliament, who want to use Brexit as a way of doing away with what they call “red tape”. Both Boris Johnson and Michael Gove have called for the removal of the Social Chapter and the Working Time Directive. Rising star Jacob Rees-Mogg has said that Britain could slash safety standards "a very long way" after Brexit and that standards that were "good enough for India" could be good enough for the UK. Even the civil servants involved in Brexit work seem to be progressing on the basis that some rights should disappear once we leave the EU. The government's impact assessment on the EU singles out workers' rights as a potential area for "maximising regulatory opportunities” and analysed the expected effects of amending or cutting the Working Time Directive. The reality is that, unless there is full protection built into the agreement with the EU, it is highly likely that once any post-exit transition period is over, Parliament will be free to re-write our health and safety laws and British courts will no longer be subject to the jurisdiction of the European Court of Justice when interpreting those laws and no assurances given by the current Government will be able to prevent that. Of course, EU regulation is in no way perfect. It has failed to respond to the threats to health posed to workers in the GIG-economy and other “hidden-sectors”. The regulations on Visual Display Units are hardly fit for purpose in the era of the tablet and mobile phone. Even on major health issues such as asbestos, the EU has done nothing to address the millions of tonnes in situ. Some could argue that Brexit is an opportunity to address these issues. However, given that EU regulations are a minimum, there has been nothing to stop the UK Government from addressing these issues while part of the EU, so there is no reason to think there will be any desire to improve standards post-Brexit. That is why we must ask for respect for EU health and safety standards to be at the heart of any future partnership agreement between the UK and EU to ensure that UK regulation remains, as an absolute minimum, at the level afforded to EU workers both now and in the future. Hugh Robertson is the Head of Health and Safety at the TUC, and a member of the European Commission’s Advisory Committee on Health and Safety and the board of the European Agency on Occupational Health and Safety. SOM is a multi-disciplinary and international organisation that supports the free movement of health care workers across Europe and the continued mutual recognition of professional qualifications. SOM would also like to see EU occupational health and safety law enshrined in UK law. The UK has made progress in occupational health during our time in the EU and the public needs assurance that this will continue. Whatever the views of members, the SOM recognises the reality that we will be leaving the EU. 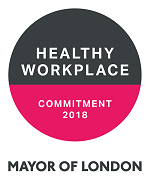 The SOM, with the FOM, is working with the Government to ensure occupational health is a core part of health care across the UK after we leave. 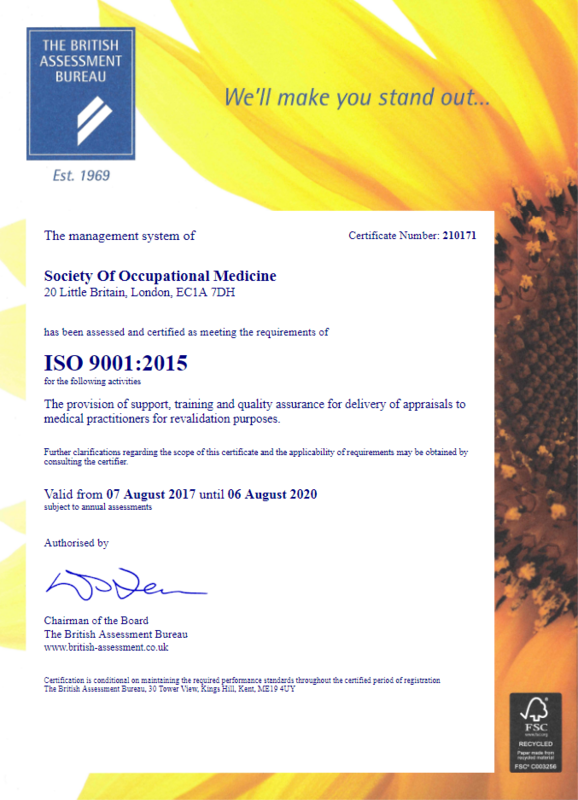 The SOM has an international membership and is also a member of the Union of European Medical Specialities, the International Occupational Medicine Society Collaborative (IOMSC) and the International Commission on Occupational Health (ICOH).